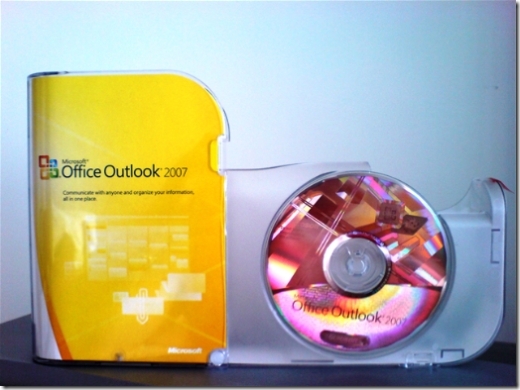 I recently purchased Microsoft Outlook 2007 for use at home. Although there have been a lot of negative comments about its poor performance (which I noticed in the Beta version) that didn’t deter me from going ahead with the purchase since I wanted it mainly for it’s enhanced search capability, information organisation features, calendar publishing ability and integration with Microsoft OneNote 2007 and Tablet PC support. Outlook comes in a sleak, well designed box with a shiny CD and I’m pleased to say I didn’t have many problems with the install. 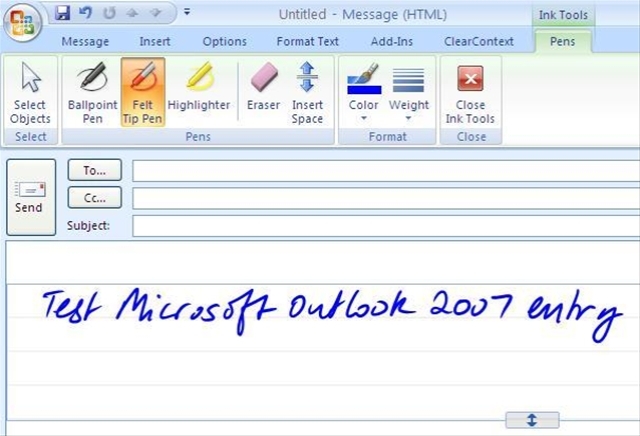 Occassionally, I’ll write an e-mail using the pen of my Tablet PC. Sadly, my hand writing has deteriorated a lot since I started using computers and I can actually type a lot quicker than I can write. 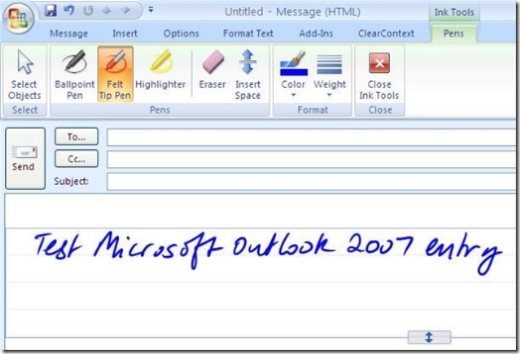 Anyhow, the screen shot below will give you an idea of how you can use Outlook 2007 with a Tablet PC.